Lawyers for Boston Marathon bomber Dzhokhar Tsarnaev have filed a notice of appeal. The notice filed Friday with the 1st U.S. Circuit Court of Appeals doesn't describe any grounds for appeal. Those will be spelled out later in a separate filing. One of the grounds is expected to be the defense argument that the trial shouldn't have been held in Boston, where many people have connections to the marathon. 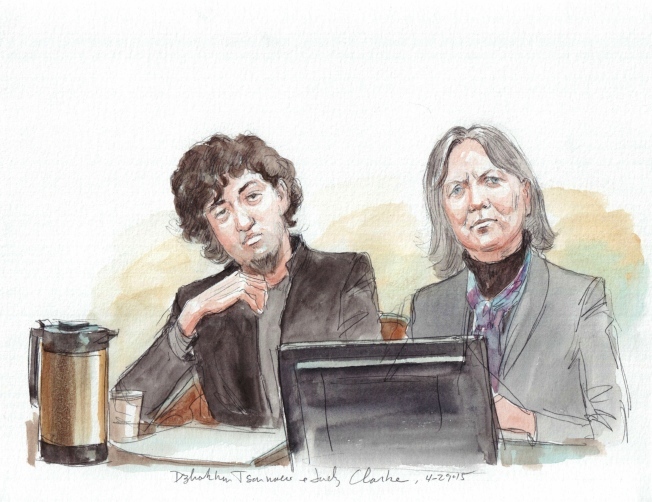 A judge this month denied Tsarnaev's bid for a new trial. Tsarnaev was convicted last year and sentenced to death in the 2013 bombings, which killed three people and injured more than 260. Tsarnaev's lawyers say they are appealing his conviction and sentence and the trial judge's denial of a request to publicly release the jurors' names.